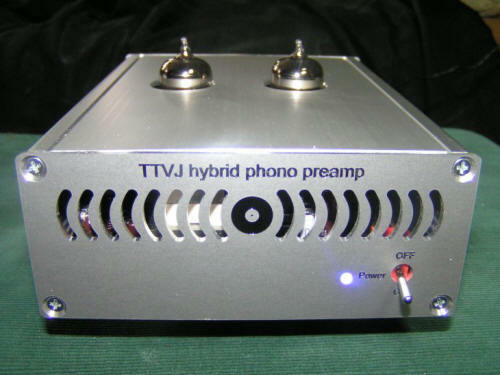 The Vinyl Anachronist: TTVJ phono preamp now on sale! I reviewed this TTVJ phono preamp earlier in this blog (at http://thevinylanachronist.blogspot.com/2010/02/ttvj-hybrid-phono-preamp.html), and while I kind of picked on it for its looks, I thought it was a great bargain at $899. Now Todd of TTVJ (which stands for Todd the Vinyl Junkie) has reduced the price to a mere $550. For that price, it's the proverbial steal. Snap one up today by contacting Todd by email at todd@ttvj.com or call him at 1-866-444-3910. He offers a two-year warranty on this model and each unit is tested before it's sent to you.